It is important to undertake continuous professional development related to your role and see this as an ongoing professional development planning cycle. What is currently stopping you from being as successful as you feel you can be in your professional life? selecting appropriate development activities to meet those needs. linking your plans to organisational (and sectoral) needs as much as possible. the characteristics of the kind of work that fits with your value system. In this step you identify and draw up a list of opportunities to gain the skills or knowledge you need to acquire, update or improve. Compare the list with your current skills and knowledge base and identify any gaps. the range of learning options available. Failing to reach your set objectives could have a negative impact and make you wary of further personal development. To avoid this, create mini-milestones to motivate yourself, for example ‘within one year I would like to have achieved this, and the first step is to do X within one month’. This action plan should be monitored and adjusted if circumstances change. Keeping records will help you to focus on what you have got out of your development activity. Record the date, the development need identified, the chosen method of development, the date(s) when development was undertaken, the outcomes, and any further action needed. Evaluation is the key stage in the self-development cycle. There are two issues you should reflect upon: whether the development activity you have undertaken was appropriate and worthwhile; and whether your skills or working behaviour have improved as a result and how. What am I able to do better as a result? Has this experience thrown up further development needs? How well did this development method work? Could I have gained more from this activity? Would I follow this approach again? We have previously discussed personal development plans on this blog. These should be reviewed and updated regularly. 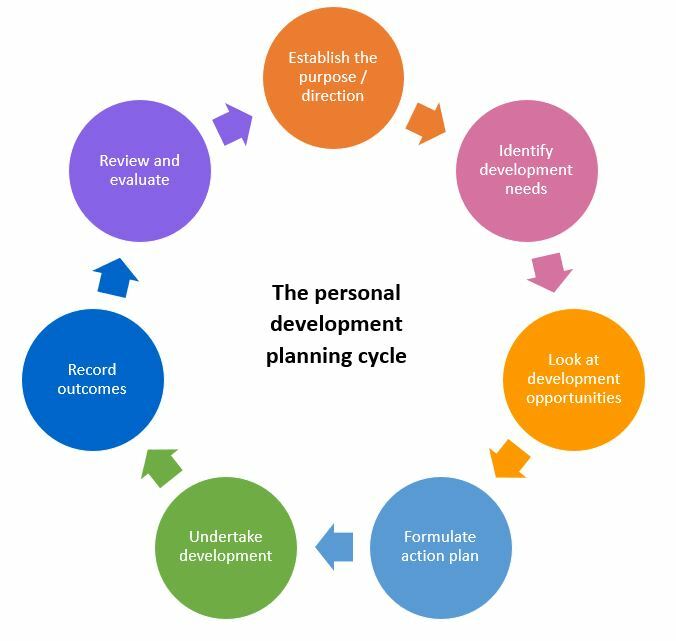 A personal development plan needs to include SMART objectives so you can achieve your plan, along with development activities to help you achieve these objectives. If you are looking for a new job in a legal, HR or finance profession, please contact us today and arrange a consultation. We provide a tailored, personalised service. Contact Siobhan Courtney on 07970 252772.